Posted on July 27, 2015 by revivewa	in Reviews. 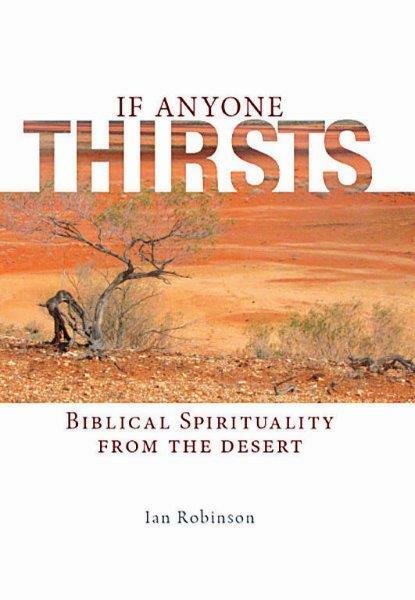 This book is a clarion call to take seriously the desert as the place where the Israelites came to know God and the significance of all that followed in their history. Rev Dr Ian Robinson shares how central the desert book of Deuteronomy is to the unfolding story of God’s dealings with the people of Israel. This is the book that summarises the experience of Israel in the wilderness, the book at the heart of renewal movements before and after the time of the exile, and the book that features so significantly in the ministry of Jesus. The author has a great gift in telling the story of what is happening at pivotal points in Jewish history as personal accounts from Elijah, Isaiah, Jesus, and others, weaving together what we know, and what he has learnt, in intriguing and revealing ways. This is an important book. Given the extent of deserts on this continent, it is perhaps not surprising that it is an Australian who calls us to live with a desert spirituality in our urban fringe – part of a deeper cry for the church to re-evaluate our desert heritage for the sake of the gospel.